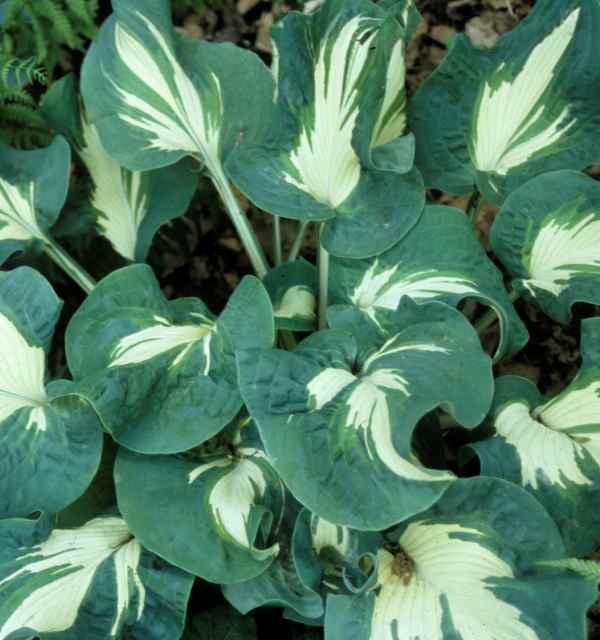 'Andrew' is a unique, tri-coloured hosta with corrugated, puckered, folded, and ruffled leaves that develop as the hosta matures. Glaucous blue-green, rounded leaves have a showy feathery white center and green jetting between the center and margin. The distinctive white scapes carry pale lavender flowers.